A few days weeks ago I watched a fabulous documentary entitled ‘British Sitcom – 60 Years of Laughing at Ourselves’. The title is pretty self explanatory and the film gave viewers the low down on some of the best programmes the UK has ever provided. 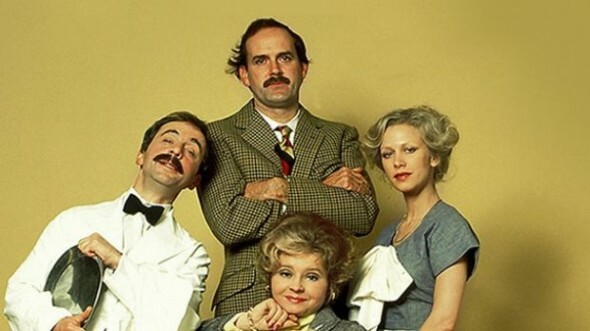 As well as casting its eye over timeless classics such as ‘The Likely Lads’ (1964) and ‘Fawlty Towers’ (1975), it looked at a number of more modern ground-breaking shows such as ‘The Royle Family (1998) and ‘The Office’ (2001). But while the documentary took a cheery walk down memory lane, at the same time it explored both the social and political issues of the day that influenced these programmes. Issues such as immigration and increasing rights for women helped spawn shows like ‘Desmonds’ (1989) and ‘The Liver Birds’ (1969), whilst Thatcher’s Britain was a huge inspiration for ‘The Young Ones’ (1982). Our personal recommendations (apart from the documentary itself) would be ‘The Office’ and ‘I’m Alan Partridge’ – both of which feature great examples of those neurotic, egotistical and, of course, hilarious characters that Britain churns out so well.